Crystal Ball repainted to look like the Joker. Now, I never really changed my G.I. Joe figures. Not really. However… I did with Crystal Ball. I don’t recall why I did this, but I do remember doing it. 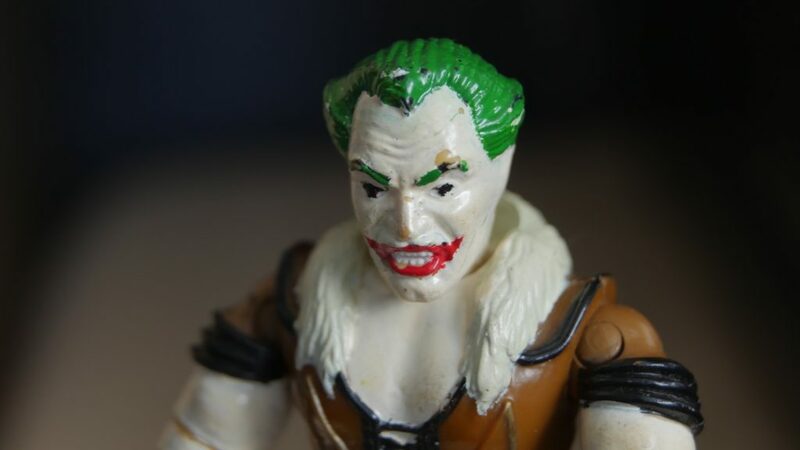 I used to paint little figurines, and one day used that paint to change Crystal Ball into the Joker. The paint on his face is chipping a bit, but after more than 30 years, it looks pretty good. And you know what, he still looks dang good. I believe I got this figure as a gift at some stage. And he wasn’t anywhere near my favorite. These more silly characters I was never particularly into. 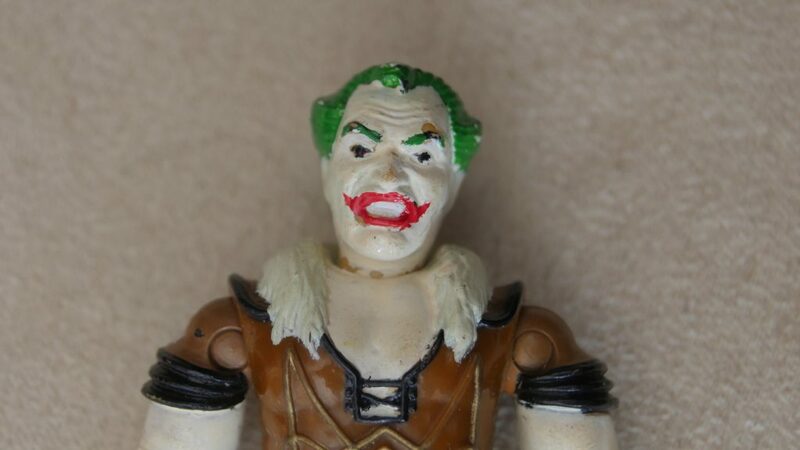 As I looked him over and rebuilt him, I wondered what made me paint him into the Joker. It’s not like I had Batman figures (although I did always enjoy the 1960s series). I keep thinking it was the hair. The way his hair was designed, it’s perfect as the Joker green. I hesitated to reassemble him, because ultimately I’m going to need to replace the head, arms and torso (I painted the hands and chest, too). 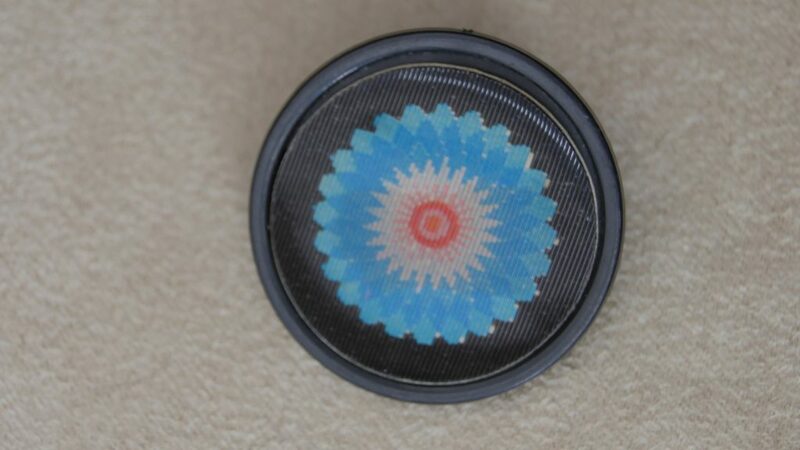 As for his Hypno Shield, it was obtained through purchase. My original vanished long ago. This replacement is in good condition, although the cardboard that the funky hologram is printed on is warped just a bit.